and he moved in New York city in 2008. 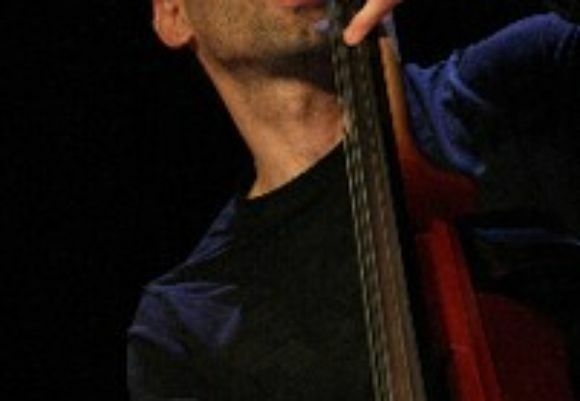 Gianluca Renzi is an acoustic and electric bass player and arranger as well. He has Degrees in classical music performance and in jazz performance, jazz composition and jazz arranging from the Italian Conservatory of Music. He also studied with Marc Johnson, Miroslav Vitous, Palle Danielson and John Patitucci. has been among the first 20 most voted album in 2008 in the All About Jazz web site.
. Those record have been best sold records in Japan in 2007 and 2008. In 2006 he was selected as one of the best young musician in Italy for the prize Django Dor. In 2008 he was selected as one best italian rising musician for the prize EuroDjango. Gianluca Renzi has performed as a sideman with some of the todays most acclaimed international artists such as Alex Sipiaguin, Joe Locke, Bobby Watson, Steve Lacy, Carl Allen, Steve Grossman, Gary Smulyan, Barney McAll, Leon Parker, Alvin Batiste, Gene Jackson, Mike Melillo, Adam Nussbaum, Rick Margitza, Robert Stewart, Marcus Baylor, Eric Mc Pherson, Billy Harper, Orrin Evans, Giovanni Mirabassi, Enrico Pieranunzi, Gianni Basso, Stefano Battaglia, Fabrizio Bosso, Antonello Salis, Enrico Rava, Paolo Fresu, Flavio Boltro, Rosario Giuliani, Antonio Faraò, Franco Ambrosetti and many others.